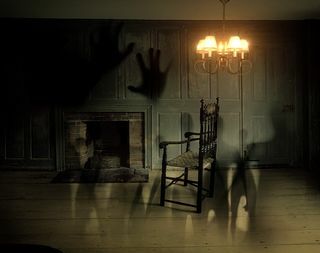 In Buddhist cosmology, one of the psychic domains that is described is the Realm of the Hungry Ghosts. The hungry ghost figures are depicted with scrawny little necks and huge bellies — riddled with powerful desires they can never really satisfy. Nearly everyone I know struggles with their own version of the hungry ghost syndrome. In a very human way, desires are natural and wholesome. They are necessary for us to survive and flourish. The challenge is that, to the degree that our basic needs for safety, bonding, and a healthy sense of our value are unmet, desire contracts and we become fixated on substitutes. Whether it’s alcohol or drugs, or perfectionism, or approval, it catches and confines us. It creates tremendous pain and stops us from living from a deeper sense of presence and love. This is the very core of the hungry ghost. On a deep level, we sense that we are disconnected from others, and devoid of basic goodness. We chase after substitutes that can’t possibly fill that hollowness inside us. Like drinking salt water to quench our thirst, the substitutes never satisfy the deeper need. Then, sensing our neediness and the futility of our grasping, we heap on another layering of self-hate. Buddhists call this shame and self-aversion the second arrow. Not only are we caught in the pain of craving, we are condemning ourselves for it. When we are stuck in this craving, shame and addictive looping, we cannot be present for our moments. Always wanting something different, we miss out on the life that is right here. The layer of aversive self-judgment fuels the suffering of the hungry ghost more than anything else I know. I have never seen anyone heal an addiction without addressing shame in a very profound way. Finding a way to remove the layer of self-blame allows us to begin to work with the deeper needs — for safety, gratification and connection — that are calling for our attention. The good news is that, no matter how we are caught, mindfulness and self-compassion can bring us home. You might take a short pause right now, and think about some way that you regularly get hooked into an addictive pattern and then turn on yourself because of it — taking a moment to really contact the place of shame and self-aversion and be with it. Can you sense what it most needs? You might experiment with a soothing gesture of kindness . . . a hand on your heart or on your cheek. If you could offer one message, from the highest, most evolved part of yourself, to that place of shame, what would be most helpful? A favorite phrase of mine is: Love is always loving you. Other simple messages might be: Forgive yourself or It is not your fault or It’s okay, Sweetheart. Whatever we practice regularly is strengthened. When met with compassion, the hungry ghost begins to lose its power. When we notice and understand the triggers behind the addictive looping, we become more conscious and can make different choices about how we respond. If we practice going after substitutes, we strengthen those pathways. But the invitation here is that, in any moment, we can notice what is happening and choose to pause and bring a real tenderness to the parts of us that feel ashamed and empty…the hole in our soul. We can remember that love is always loving us. We can touch a quality of grace and tenderness that can hold us. Practicing mindfulness and self-compassion can free our hearts from the suffering and shame of the hungry ghost. There's a worm addicted to eating grape leaves. and he's no longer a worm. Moyers, W. C. (2006, May 08). Speech presented in The Open Mind Series: On Addiction at The Picower Institute for Learning and Memory at MIT, Cambridge, MA. Rūmī, J. A. (1997). The Worm's Waking (M. Green, Ed. ; C. Barks, Trans.). In The Illuminated Rūmī (p. 25). New York, NY: Broadway Books.